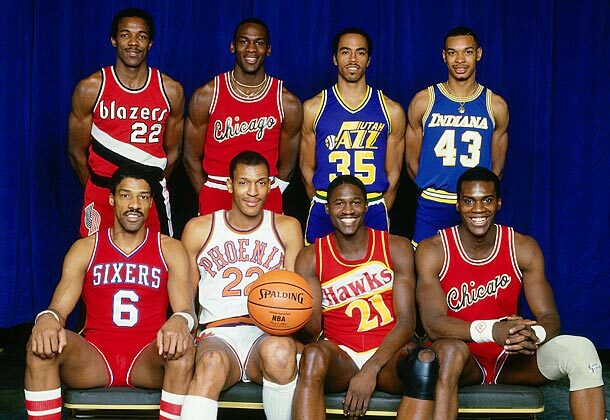 I think the “Death of the Dunk Contest” has been vastly overblown. It’s not quite on the level of “SNL hasn’t been good since…” argument, but I think they are in the same ballpark. It’s come about because hating the current formats and iterations of the dunk contest is a fun thing to do and many of the criticisms are undeniable. It will never be as great as it once was, and that’s sad. The best players no longer care enough about being crowned as the best dunker, which takes a lot of the fanfare away from the contest. That being said, there are still ways to create excitement and generate fan interest in the event. Here now, in a discussion with my good friend Stan, is our idea for the best possible dunk contest in 2015. Shane: Hey, Stan. I suppose if we’re going to start anywhere it makes the most sense to start with what’s wrong. To me, even above the caliber and star-power of the participants, format is the most important issue. 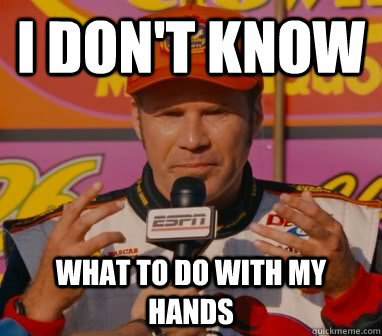 I need a reason to watch, a rooting interest, or some form of suspense. 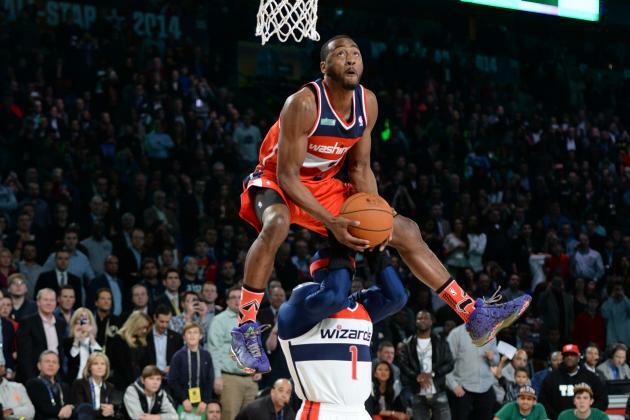 We can agree that while John Wall was a BEAST last year, the event was abysmal and not really worth watching, right? Stan: Despite having arguably the most star studded lineup since the epic 2000 match-up, last year’s dunk contest was borderline unwatchable. I was skeptical of the East/West team format the moment it was announced, and it proved to be a chaotic mess of an event. At least the Chris Anderson disaster in 2005 was so bad it was good. Last year was the tofu of dunk contests. Shane: At times, it was worse than bland. I don’t think I ever understood the rules. I don’t think anyone did, including the participants and the judges. It seemed like whoever came up with the team idea had never watched a dunk contest before. No one who had seen the great battles of the past (Jordan and Nique, Spud crashing the party, Nate Robinson outdueling Andre Iguodala) would approve of that format. If memory serves, after about two dunks, all of us were pretty sure it was over or didn’t matter. 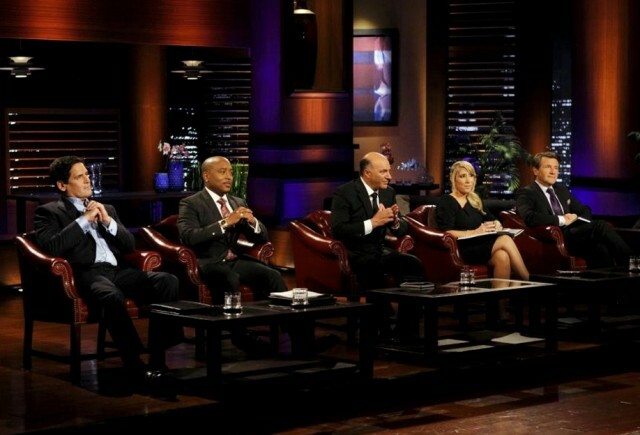 This did not make for compelling television, which is what this event should be. Stan: Ever since those Dwight Howard years, the dunk contest has become more about the gimmicks and less about the dunking. While some of the sideshow stuff can be fun, usually it just takes away from what everyone really wants: athletic freaks going head to head with their best stuff. Basically, guys dunking the crap out of the ball. Shane: Yes. The more Shawn Kemp-esque the better. Shane: This brings us to our idea for a dunk contest format that would not only create suspense, but also choose the best dunker and get people’s attention. Shane: DUNK BRACKET. The NBA edits together the best in-game slams from the 8 participants and has online voting to determine the seeds. The dunkers then square off with two dunks each round. Best aggregate score advances. (Ties resulting in a sudden death dunk-off). Three rounds means we see our champ’s six best jams. 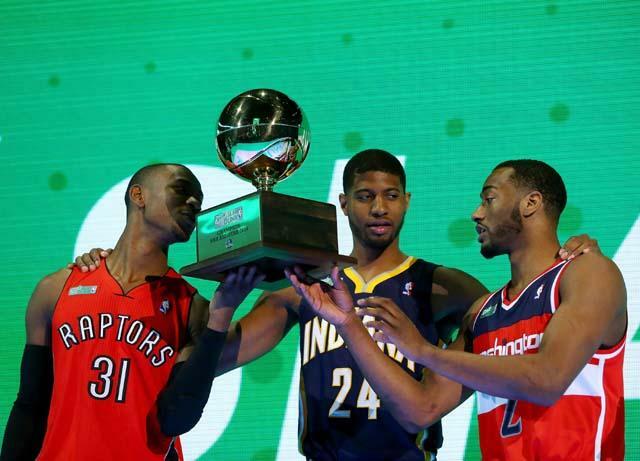 Stan: Brackets make EVERYTHING better, and the dunk contest would be no different. The stakes are raised when it is just two guys going at it, mano y mano. Participants would need to strategize when to unleash their best dunks, whether that means saving something for a tougher opponent in the next round, or using their A-material to ensure advancing to Round 2 or 3. If you want compelling television, this is the way to go. Shane: I honestly don’t know if I’ve ever encountered a problem that wasn’t best solved by a bracket. Basketball aside, I’m not sure why TV producers haven’t realized this. The Bracket-elorette? Are you kidding me? Ratings monster. Stan: Underdog stories. Have you watched Rudy recently? It’s a painfully boring movie. But because Samwise is short and fat and bad at football, everybody thinks they love it. 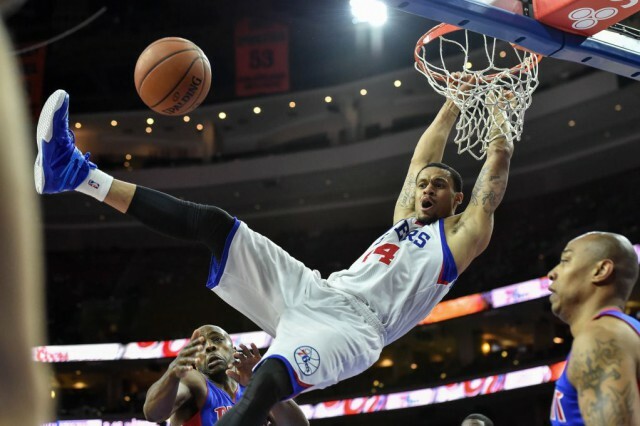 Let’s throw in an underdog story line by getting the best D-League dunker into the bracket. The D-League is a breeding ground for freak athletes who may not be so great at the skill oriented aspects of the game. Who wouldn’t be rooting for the no-name guy making $25k a year to win the six figure bonus that comes with a dunk contest win. That’s some life changing cheddar right there. Shane: First off, I didn’t know that you were going to talk about how boring Rudy is, but I couldn’t agree more. An hour of that movie is Rudy studying and checking his mailbox to see if he got accepted by Notre Dame. Go to another school, loser. Anyway, back to our underdog story. He will be gunning for the money and for his shot on the big time, though the best part is that he just might win. To play in the NBA you need an arsenal of skills. To play in the D-League, you might have some but not all of these. I’m pretty darn sure there’s someone in the D-League with a 45-inch vertical leap who can’t shoot at all or dribble more than three consecutive times. Stan: Question, can Jakarr Sampson qualify as the D-League player? No? OK, fine. Shane: That’s ridiculous, Stan. You, I, and everyone with a working pulse knows Jakarr is in the league to stay! Stan: So now that we established that Jakarr will have to get in as a real life NBA person, what other real life NBA people would you want participating this year? Shane: Pretty decent segue. Who’s blog is this? Shane: It’s mine, so I’ll start our discussion here. The first guy I’d go with is in this year’s contest already. Zach Lavine is a bird or something. He can actually fly. Stan: It’s silly how high that man can jump. My first pick would be Lavine’s teammate and budding star Andrew Wiggins. 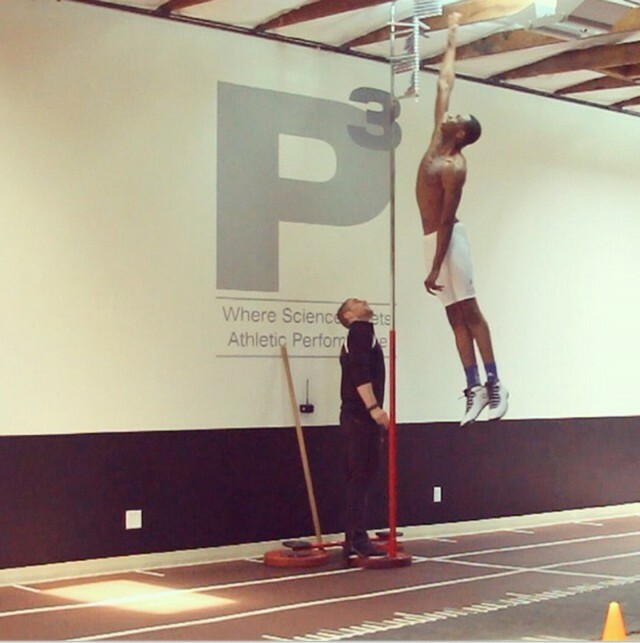 Did you see that picture of his pre-draft vertical? Sweet Fancy Moses, he can get up! Kawhi was surrounded by great players and played very much within himself and the system. Andrew Wiggins is a Canadian basketball machine built by Zeus out of spare Kobe Bryant pieces. 20% is not that high! A deep run in #DunkBracket would remind people that the Minnesota Timberwolves exist and how talented Wiggins is. Stan: Right. I think what we need now is some more star power. While he is still more athletic than 99.9% of the human race, it is clear that Lebron has lost a little bit of bounce.Our dreams of seeing peak Lebron destroy a dunk contest will never be realized. 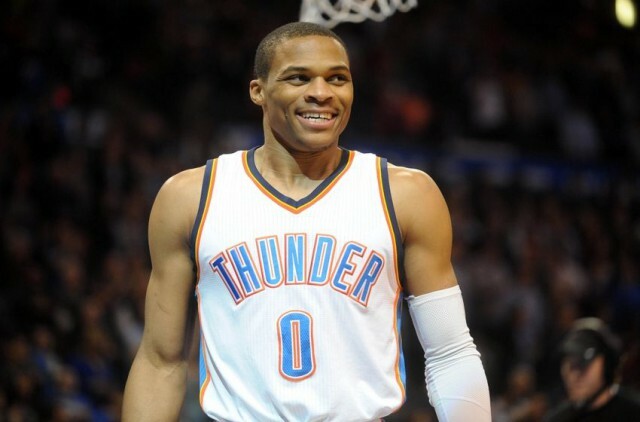 That said, I would love to see the next best thing: peak Westbrook literally eating the competition alive. Russell Westbrook is a bad, bad man and would put on a show not only with his dunks, but with his post-dunk stare downs as well. Shane: I think Russell is a great choice for a couple reasons. Despite his fashion sense, I can’t imagine him getting too fancy with finesse and gimmick dunks. He’s just going to ram a ball of leather through a metal circle and that’s really what I’m looking for. Also, I think if you told Russ that anyone was better at anything than him, he’d show up at the provided time and place to prove you wrong. My next suggestion stays in the lane of athletic point guards. I need John Wall to come back and compete in a real dunk contest. No teams or freestyle rounds (these just came back to me like a Vietnam nightmare). Just him and his best dunks. Shane: Now I want KJ to jump over his mom while she reads a list of things she doesn’t like about Sam Hinkie into a live microphone. Quickly, someone who isn’t in: Cleanthony Early. At that very same collegiate dunk contest, the audience was wowed by Adriean Payne of Michigan State (and now ALSO A TIMBERWOLF). I don’t care that Payne has played in 3 NBA games this season. I do care that he can slam with the best of them and I am super intrigued that Minnesota seems to be simply building the perfect team of Ricky Rubio alley-oop targets. I want, no I need him involved here. Stan: I didn’t want to have to talk smack on you on your own blog, but you have left me no choice. Nobody wants Adreian Payne in this competition. Adreian Payne doesn’t want Adreian Payne in this competition. I award you no points, and may god have mercy on your soul. Shane: Fine, so Payne stays home. We’re at 5 of our 7 NBA level participants. There’s two spots left and we’ve only mentioned one of the four guys competing this year. Which brings us to the most important name yet: GIANNIS. Giannis might be able to do the iconic Dr. J dunk, but from the top of the key instead of the foul line. I think he grew three inches in the time it took for me to write this sentence. Shane: OK, Giannis is in. As for our last spot, neither of this year’s other two contestants (Victor Oladipo and Mason Plumlee) move the needle much for me. Personally, I’d rather turn back to someone who has been successful in past contests and for me that means Terrence Ross. Yeah, he’ll do just fine. So our 8 bracket members are: Russell Westbrook, John Wall, Terrence Ross, GIANNIS, Andrew Wiggins, Zach Lavine, KJ McDaniels, and the best D-League dunker. Stan: I would have loved to have snuck Jerami Grant in there to A) make the Hinkie haters’ heads explode and B) pay homage to all things Grant, but yeah, that lineup seems pretty good to me. Shane: Well, sorry. Only two of the above 8 guys is participating tomorrow and sight unseen, I can nearly guarantee that whatever format Adam Silver and his Death Eaters come up with won’t be nearly as fun. Happy Valentine’s Day, basketball fans. Here’s another crappy dunk contest. Stan is Shane’s friend and the co-creator of the Dunk Bracket. Follow him on Twitter @Stanbroshea. Just check out that guttural yell from his little brother, we need that at the dunk contest. Certainly some great family stuff going on there. Perhaps Thannasis could be our D-Leaguer, forcing the fam to pick sides? Glad you enjoyed, Emily. I hope you come back and read the blog again in the future.